On Tuesday 20th November, Scotland will play Israel at Hampden. Earlier in the week, demonstrators stood against the encroachment of unopposed Israeli propagandising at Stirling University. 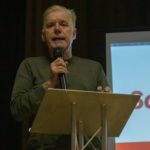 The Politics Society invited an Israeli diplomat to speak at their meeting. However, questions to the Israeli diplomat would be pre-screened, and no opposing Palestinian voice was part of the platform. 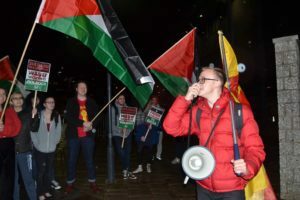 Protesters stood in the bleak weather with Palestine flags and supportive placards, pledging Scottish support and solidarity to the Palestinians both on campus and in the Middle East. Stirling SSP branch secretary, Morgan Lewis-Wilson (pictured) organised the demonstration and said: “On Thursday the Stirling University SSP, with support from others on the left, wholeheartedly rejected the presence of an Israeli diplomat on campus. “We’re appalled that a society in our university invited them, that our Union allowed their visit, and that our university went to great lengths to hide the details of this event from students. 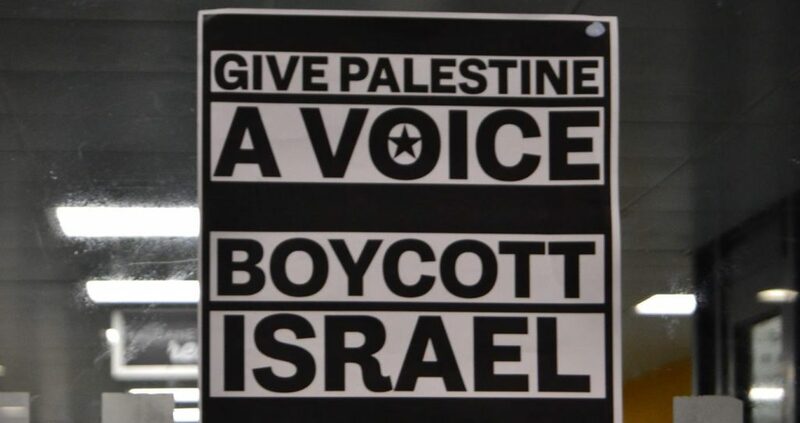 Israel is a United Nations condemned state guilty of serious human rights violations against the people of Palestine.